Papaya Films are becoming more established in the UK, they are continuously making incredible content and entertainment from around the world. They take great pride in collaborating with agencies and creating authentic stories. 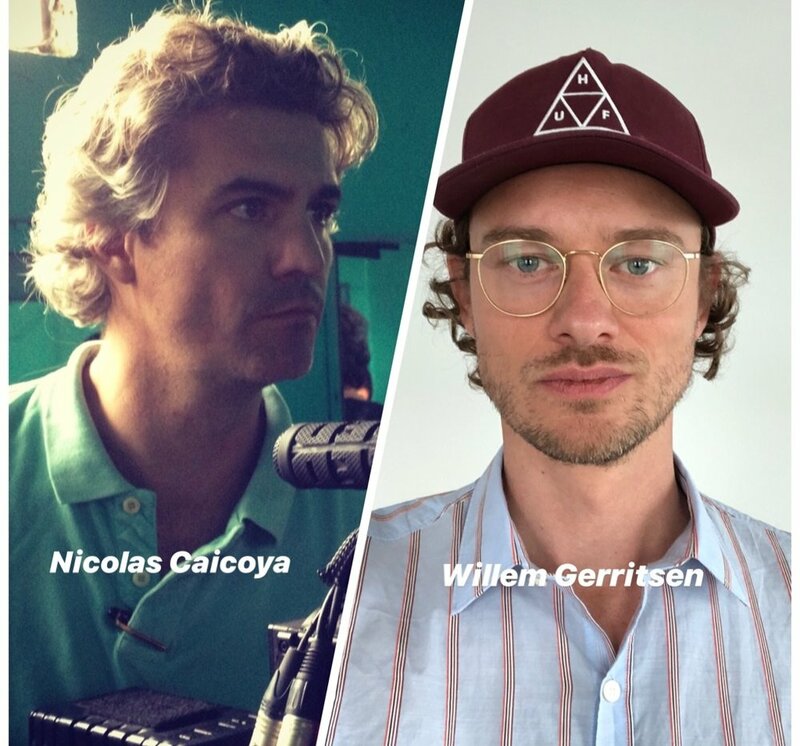 With a robust roster of global directors, they newly welcome Nicolas Caicoya and Willem Gerritsen. Nicolas Caicoya, a native of Northern Spain, moved to Madrid at a very young age. Having both parents being Doctors, he started his directing career by filming his father’s operations. Nicolas distinguished his distinctive storytelling style early on in his career in Spain. His commercials for Atletico Madrid earn two Bronze Cannes Lions, as well as being shown at the Museum of Modern Art in New York and at the Reina Sophia Museum in Madrid. His work effortlessly combines an unexpected hyper-reality and lightness. As well as his sensitive hand with actors and real people, giving his films strong performances. His chemistry of subtle wit and humour, great cinematic aesthetic and visual storytelling separates his work from his peers. Nicolas’ filmmaking skills give his work a lot of depth and richness of detail, which makes it exciting to watch over and over again. He is a very hands-on director with a creative eye for solutions that support the creative. Nicolas’ diverse output includes campaigns for; Fiat, Chrysler, Skoda, Coca Cola, Vodafone, British Telecom, Ikea, Nintendo, Disneyland, Turkish Airlines, Samsung, Panasonic, Mc Donald’s and HSBC to name few. Many of which have won awards in both international and national film festivals. In addition to commercials, Nicolas directed and produced his short film HYENA’S BLOOD in 2014. Winning innumerable critics’ awards and festival prizes worldwide. Many of the film directors we come across usually have a background in studying film or a related degree. However, that wasn’t the case for Willem Gerritsen. He studied Philosophy at the University of Amsterdam but later decided to become a filmmaker due to the love he had for filmmaking. A decision which would eventually grant him accolades and milestones in film his career. Without formal training, Willem started a production company and directed commercials, corporate films, and many music videos. As a commercial director he has made content for global brands such as Disney, LG, Heineken, Booking and MasterCard. Establishing himself as an Awarding Winning Director, he has won a Young Director Award in Cannes in 2008 and two bronze Cannes Lions with his work for TomTom and Hi-Tec. Also winning an ADC award, multiple Epica’s, D&AD and Eurobest awards. His quirky sense of humor is apparent is his series of Star Wars spots for TomTom featuring Darth Vader and Yoda. In addition to him making commercials, Willem also makes films and TV series. He is represented by UTA in Los Angeles, which has enhanced his storytelling ability and ability to bring characters to life in his ads. His work is very diverse and visually hard to categorize. Besides TV ads, he is keen on making online work and has attracted over 50 million views on Youtube with ‘virals’ he has directed.